The aim of this project is to build the capacities of the Local Government Units (LGUs) in Public Finance Management based on good local and national practices as well as international standards. On the other hand the knowledge package aims to guide LGUs in adopting practical uses of information and communications technology in order to support more transparent, efficient and effective local government operations, more client oriented public service delivery and more informed and engaged citizens, in line with relevant national strategies and good practices. It is expected that the project, supported by the Decentralisation and Local Development Programme (dldp), will work with LGUs so to improve processes and practices towards more transparent, accountable and participative strategic and financial management (planning / budgeting / execution / monitoring and reporting). Preparation of a working methodology and approach on BEE (to be tested in Shkodra Municipality). 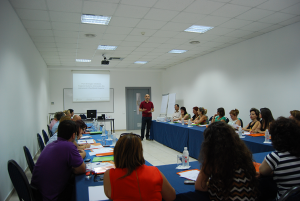 A PEFA based assessment in the Municipality of Shkodra. Linking the Financial Planning Tool with decision-making (local council) and annual budget process. Inputs and recommendations for creating a web-platform for council members reporting and consulting (through a set of indicators for local financial performance and budget execution and evaluation; communicate with local council, CSOs, citizens, MoF, donors, etc. ).